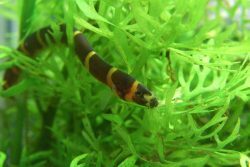 Why loaches make for a great addition to your freshwater aquarium. 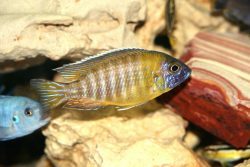 Whether you’re new to the hobby of fish keeping, or an old pro, it’s often beneficial to include a few bottom feeders in your tank. 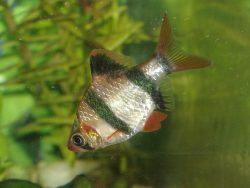 Uneaten food that falls to the bottom of the tank can cause the water to become polluted if left too long, which is where a bottom feeding fish come in handy. These bottom feeders clean up that food and help keep your tank clean. 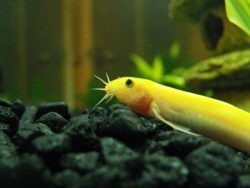 Many beginning hobbyists opt for a variety of catfish, such as a plecostomus or corydoras as their go-to bottom feeder, but once you grow to being an advanced beginner or intermediate enthusiast, you might want to consider one of the many species of loaches. 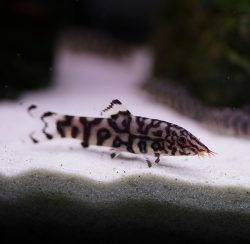 While there is a wide variety of loach fish to choose from for your aquarium, we’re going to focus on two of the more popular species that can be wonderful compliments to your tank, and should be readily available in your local pet store — the clown loach, the black kuhli loach, the yoyo loach, the dojo loach, and the hillsteam loach. Click through each loach variety to read more. 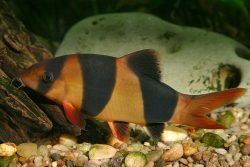 The clown loach (Chromobotia macracanthus) is one of the most popular species of loach mainly because of their striking vertical orange and black stripes. The Black Kuhli loach or coolie loach (Pangio kuhlii) is quite a different fish than the clown loach because it has a long, snake-like body that looks more like an eel. 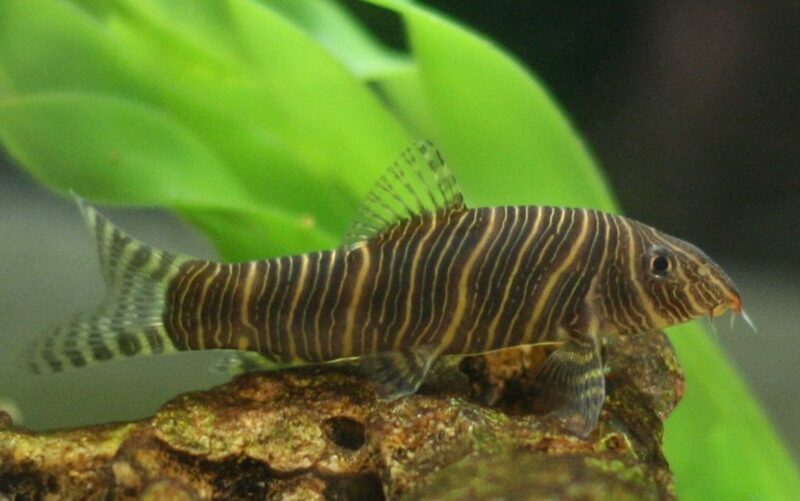 The Dojo loach (Misgurnus anguillicaudatus) more closely resembles the black kuli loach in that its body is more eel-like, although it’s not quite as serpentine. These fish are either gold or pink in color. 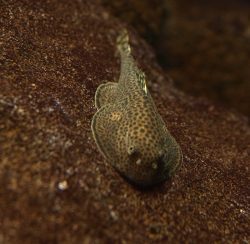 Another popular loach among freshwater aquarium hobbyists is the Yoyo Loach (Botia lohachata). 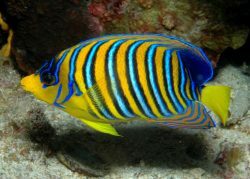 Like the clown loach, this tropical fish is quite striking visually and can be a beautiful addition to almost any tank. The Hillstream loach (Beaufortia kweichowensis) is a unique looking fish. It has a flattened body and fins that resemble wings giving it a ray-like appearance.